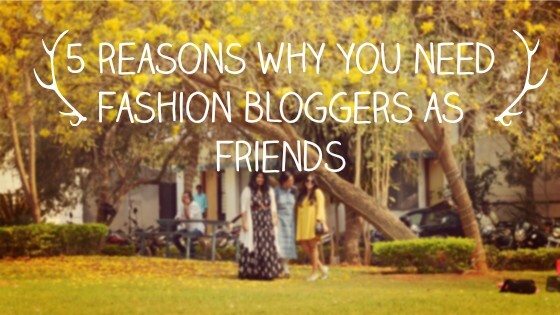 IshtyleAwhile - A Chennai based Indian Fashion Blog - 5 reasons why you need Blogger Friends when you are a fashion blogger. The fact that I preach about blogging being a community is nothing new. But I am not all words. I practice what I preach and make an effort to reach out to other bloggers and get to know them. Making new friends is so much fun and honestly and I think every blogger, especially the fashion bloggers, need to make friends with more of their own species i.e fellow fashionistas. There is this general belief that women are jealous characters and cannot stand to see another woman prettier than themselves, or a blogger more successful than themselves. While this holds true at times, I think it isn't wrong to try and reach out to the fashion bloggers in your city and build a more fruitful relationship. Here are 5 reasons why every fashion blogger, needs fashion blogger friends. 1) An ear to whine to. Who else is going to understand the feeling of not getting PR products or not getting paid on time for a campaign. Who else is going to help you reach out to other brands and get invited to events. Only a fellow fashion blogger. Do not imagine that a non blogger will comprehend the sorrow of not getting the latest launch of lipsticks even though the shades are already there in your collection. Nah ah.. Only a fellow blogger will stand by in these times. As sweet as your husband or boyfriend is, he will reach a point where clicking an OOTD is not priority (it usually never is). Also unless he is a professional photographer with a genuine interest in it, he is not going to be able to understand why you need close ups of your watch and earrings and why you need a picture in atleast 4 different angles to find the right one This is why you need a girl friend who is a fashion blogger. She will always patiently click your pictures, no matter how many times you ask her to retake it. Just don't forget to reciprocate the same for her. 3) To keep on trend. No one, but a fellow fashion blogger, is going to keep track of Bangalore Fashion Week, India Fashion Week, New York Fashion Week, Milan Fashion Week, Red carpet trends of Golden Globes and IIFA awards best dressed. Try talking about Sonam Kapoor lemon yellow dress versus Deepika's mustard yellow dress to a non-fashion blogger, and they will stare at you like you have are talking about alien sightings. Fashion bloggers track stats like how stock brokers follow the stock market. A single unfollow on Instagram can send us into weeks of depression until we gain another 4 more. The importance of this will not be understood by anyone else. And I mean no one else will comprehend the difficulties of keeping a steady growth of followers and likes on social media. Tempted to buy that new foundation even though you have 4 more? If you ask your friends, they will ask you why you need another foundation. 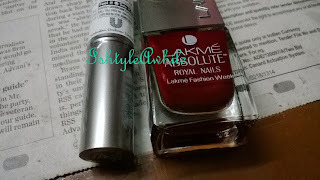 Ask a fellow fashion blogger and she will tell you to go for it and review it on the blog. Maybe even do a comparison post. You can rest assured that a fellow fashion blogger will always have your back when it comes to spending more money on clothes, shoes and makeup than you can possibly need. She may even send you links of new website to spend more of your paycheck. Now if these 5 reasons have not convinced you to reach out to more fashion bloggers in your city and make friends, then maybe I need to think of another 5 more for another post. Tell me who are your besties in the world of blogging down in the comments below.